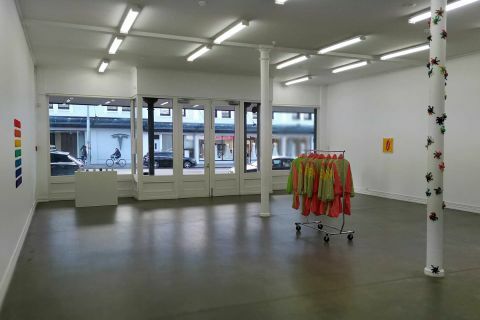 Located on Auckland’s Karangahape Road, Starkwhite offers a programme of solo and group shows by represented and guest artists, along with independently curated exhibitions. 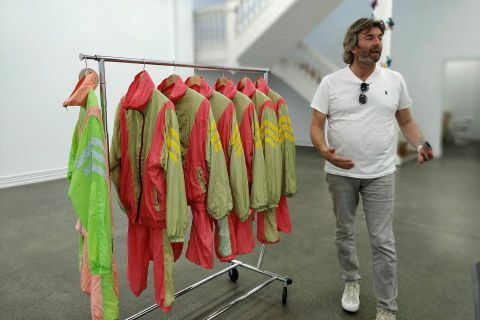 The gallery is focusing on artists with a strong track record of participation in international art fairs and or representation in national and international exhibitions. Ani O’Neill, born 1971, is a New Zealand artist of Cook Island and Irish descent. She is one of the core members of a group of artists of Pasifika descent who brought contemporary Pacific art to national prominence and international acceptance. 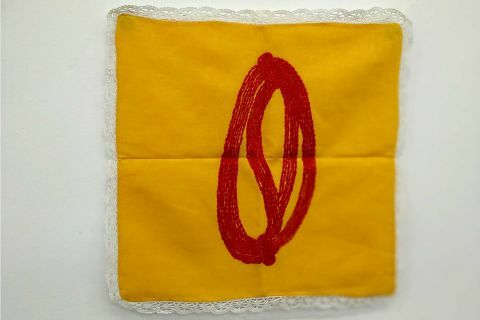 Using a craft-based practice that employs identifiably Pacific materials, Ani O’Neill’s work is often collaborative or community-based. “Asserting a Cook Islands identity, yet positioning herself firmly in New Zealand, O’Neill creates a position from which she can question, critique and embrace Cook Islands icons. She noted “my art to me is really looking at my situation as a Rarotongan. I have always felt privileged to have had that background”. Karen Stevenson, art historian. 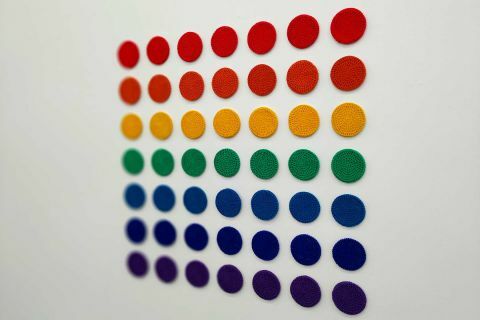 In 1996 Ani O’Neill represented New Zealand in the Asia-Pacific Triennial in Brisbane, and in 1997 received the Rita Angus Residency where she produced the work Cottage Industry, exhibited at City Gallery Wellington. 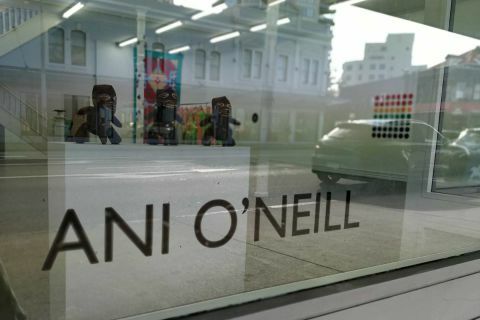 Ani O’Neill has continued to participate in major national and international exhibitions such as Rainbow Country (2000) at the Museum of New Zealand Te Papa Tongarewa, Pasifika Styles (2006) at the University of Cambridge Museum of Archaeology and Anthropology, and Le Folouga (2009) at the Kaohsiung Museum of Fine Arts in Taiwan. As a member of Pacific Sisters, Ani O’Neill travelled, exhibited and performed in their influential events which, as Karen Stevenson writes, produced ‘new voices of self-representation that challenged the comfort and serenity of the stereotype’. Dominic Feuchs, Starkwhite director, was very helpful in educating us about Ani’s works and the whole New Zealand art scene in general. He shared his vision and tips with us with ease and confidence. 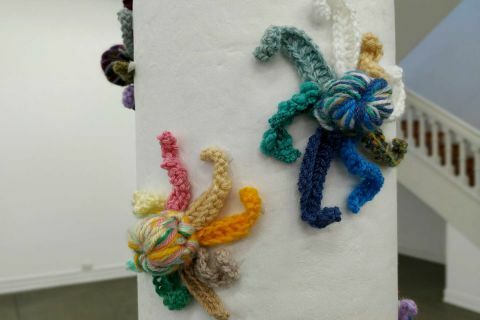 With colourful, crochet materials, Ani O’Neill’s work reconciles the influences of cultural traditions of the Cook Islands, Rastafarian and American Pop Art.